Don’t save up your loot boxes thinking you’ll be getting Ana unlocks when the character becomes available for all later. 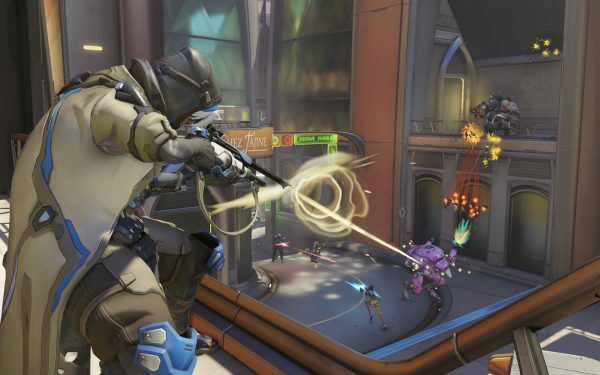 Now that we know the identity and full details of the first post-launch Overwatch character, Ana, everyone is wondering if existing loot boxes will contain skins, emotes, sprays, and other items for use with the new character. Unfortunately, that isn’t going to be the case, Overwatch’s community manager has explained on the forums. Stocking up on loot boxes to unlock Ana stuff early, it seems, is not a valid tactic. One reason for this is that the contents of loot boxes are generated when they are earned/purchased, not when you open them. Which means, any boxes you earn from now until Ana’s release, won’t be dropping Ana-specific loot. This is also true for future characters, unless the way loot boxes work gets changed.